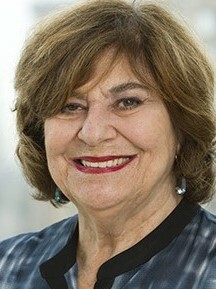 Project Director Esther Katz, a Research Scholar and retired Associate Professor at New York University, founded the Sanger Papers Project in 1987. She had previously worked on other editing projects including The Papers of William Livingston, the Letters of William Loyd Garrison and the National Women's Trade Union League Records. Dr. Katz was previously Associate director for the Institute for Research in History. She has served as interim director of NYU's Program in Archives and Historical Editing, and has consulted on for a variety of institutions including in the Ford Foundation, MSNBC, and several documentary film and television productions. Dr. Katz is a past-president of the Association for Documentary Editing, and a special faculty member of National Historical Publications and Records Commission's Institute for Editing Historical Documents in 2016, and has served on the ADE Council, as well as its Education Committee, Research, and Web Committee. She was the 2015 recipient of the Lyman H. Butterfield award for her contributions to the area of documentary editing. She has also been a member of the Organization of American History's Committee on Research and Preservation. In addition to the book edition, she is currently working on The Speeches and Articles of Margaret Sanger, an electronic edition of Sanger's unpublished speeches and less accessible articles being mounted on our web site. In addition to her work on the Sanger Project, Dr. Katz is writing a biography of Margaret Sanger for the Lives of American Women series to be published by Westview Press. Dr. Katz has taught graduate seminars on Digital Editing Projects for NYU's Archives and Public History Program, along with courses in NYU's History Department on Women in American Society; Great Depression and New Deal, Modern America, and The Progressive Era. All contents copyright © The Margaret Sanger Papers. All rights reserved.